Jerusalem - According to a news story in the Jerusalem Post (February 27, 2013), the Israeli political advocacy NGO Breaking the Silence was responsible for leaking the latest internal EU document condemning Israeli policy. The "EU Heads of Mission Jerusalem Report 2012," which recommends various sanctions against Israel, was not shared with the Israeli government. Many of the claims and conclusions in it are based on non-verified statements and prejudicial opinions of NGOs, which themselves receive funding from the EU and European governments. Chuck Hagel and John Kerry: Four Years of This? First came the revelation that in 2011, Hagel accused India of aiding Afghanistan as a second front against Pakistan, requiring the Pentagon to release a statement that he will work to strengthen ties with India, while the White House distanced itself from Defense Secretary Hagel's position. In America, you have a right to be stupid if you want to be. And we tolerate it. We somehow make it through that. Now, I think that’s a virtue. I think that’s something worth fighting for. To be fair, Kerry's statement was in the context of defending, albeit not very well, freedom of speech in America. (Kerry was obviously referencing President Barack Obama’s UN speech in his own talking points.) How Kerry defends it is what's scary and dysfunctional. UN Watch expressed shock over anti-Jewish remarks delivered by Turkish prime minister Tayyip Erdogan at a UN summit for tolerance, and urged UN chief Ban Ki-moon -- who was present on the stage yet stayed silent -- to speak out and condemn the speech. The Geneva-based human rights group also called on Erdogan to apologize. Speaking yesterday before a Vienna forum of the Alliance of Civilizations, a UN framework for West-Islam dialogue, Erdogan called Zionism, the movement founded in 1897 for Jewish self-determination, a "crime against humanity," likening it with anti-Semitism, fascism, and Islamophobia. The Middle East Media Sampler 2/28/2013: Did AIPAC Blow It On Hagel Nomination? Yet AIPAC has remained totally mum. The group says it focuses its energies on matters of policy rather than personnel. If it campaigned against Hagel, where would it stop? The organization would potentially have to take a position on every Cabinet nominee. Meantime, in the absence of AIPAC, other pro-Israel organizations have come out publicly against Hagel, like the Emergency Committee for Israel. For taking the lead on this issue, they have been labeled partisans, while AIPAC has preserved its bipartisan status. But it’s not clear how much that label matters when a very influential segment of the Democratic party has made it plain that supporting Israel isn’t a top priority. I’m not just referring to the delegates who booed pro-Israel changes to the party platform on the floor of the convention in Charlotte last summer. I’m talking about the White House. The Daily News notes that Barghouti's goal of using boycotts, divestment and sanctions to undermine Israel’s moral legitimacy is but a short term goal, hiding the ultimate goal of destroying the Jewish state of Israel. The Problem with Turkey's "Zero Problems"
Under the Justice and Development Party (Adalet ve Kalkınma Partisi, AKP), Turkey's foreign policy has been associated with the prescriptions and efforts of three men: Prime Minister Recep Tayyip Erdoğan, President Abdullah Gül, and Foreign Minister Ahmet Davutoğlu. Davutoğlu, a former international relations professor, has been the most articulate exponent of the troika's ideas, penning perhaps the most authoritative summary of its worldview in his 2001 Stratejik Derinlik (Strategic Depth) and coining its foremost article of faith: a "zero-problems policy" with Turkey's neighbors because Ankara "wants to eliminate all the problems from her relations with neighbors or at least to minimize them as much as possible." 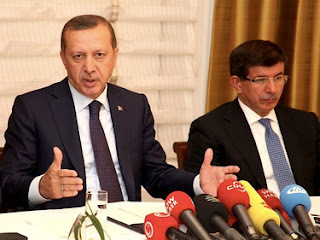 The primary author of Turkey's deeply problematic "zero problems" foreign policy is Foreign Minister Ahmet Davutoğlu (right), seen here with Prime Minister Recep Tayyip Erdoğan. The main thrust of Davutoğlu's writing is a deep conviction in the incompatibility of the West and the Islamic world and resentment of the West for its attempt to impose its values and political system on the rest of the world. This might all be well and good if such words were supported by actions. But Davutoğlu has also described Turkey as a "heavyweight wrestler," hinting that it may use "the maximum of its abilities" when dealing with its neighboring "middleweight wrestlers." A survey of Ankara's relations with these "middleweight wrestlers" reveals its "zero problems policy" to be little more than a cover for the AKP's reasserted "neo-Ottoman" ambitions. The mess is of considerable proportions, as I see it. Redeemable, yes. With determination, inner confidence, strength and faith. But are we seeing these factors in play sufficiently? A friend told me today that she's feeling demoralized, and she's not alone. I actually had hopes a day ago, that by the time I sat down to write today, late in my day, there would have been an announcement about Bennett having signed on to the coalition. Yesterday Likud was saying that it was coming any minute -- maybe last night, maybe during the day today. Now reports have it that it will be in the "next few days." Obviously, while there has been progress, everything is not going quite as smoothly as certain parties would have us believe. I believe the catch is Livni's role in the government. The Israeli tourists on Arkia Airlines Flight 161 from Tel Aviv could not have known it, but their arrival in Cyprus July 6 was watched closely. A pair of trained eyes counted each passenger as the group exited the plane and boarded a shuttle, headed for resorts that had also been carefully studied and mapped. All these years after 9/11 and the tracking down and killing of Osama bin Laden, are there any further lessons to be drawn from that initial tragedy? The cease-fire between Israel and Hamas, which was reached after Operations Pillars of Defense three months ago, has left members of various terror groups unemployed. Now that the jihadis in the Gaza Strip have nothing to do, such as fire rockets at Israel, they have started searching for other places to carry out their terror attacks. 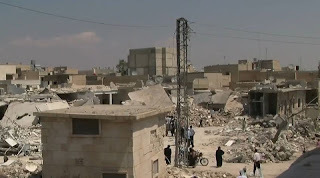 They have found no better place than Syria to start sending their men to join some of the radical Islamist organizations fighting against Bashar al-Assad's regime. Elliot Abrams writes about Kerry and the “Peace Process” as our new Secretary of State John Kerry has convinced himself that he can succeed where those before him -- including Obama -- have failed. What's negative? Oh, I won't say everything. Should never say that. But there's a great deal that is, and the sense one gets when surveying the situation is an enormous weariness. Let's begin with coalition formation here in Israel. PM Netanyahu was given 28 days to form that new coalition. By my calculation, his mandate from President Peres began on February 3, which brings us to this Sunday, March 3. He can then request an extension of 14 additional days. After that, if he has no government, he will have struck out. 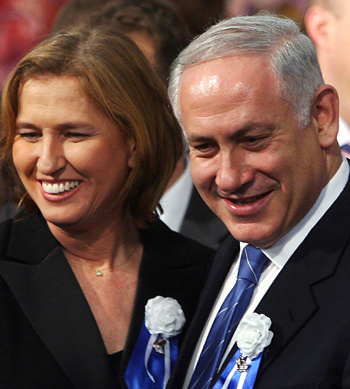 In light of the fact that Tzipi Livni is joining Netanyahu's coalition, Eli Hertz writes about her role in Israel's Second Lebanese War and Livni's Misguided Sense of Accomplishments, noting questionable claims that Livni has made. Fact: Adopting Resolution 1701 under Chapter VII was a clear goal of Israel that did not materialize. Under international law, Resolution 1701 that was adopted under Chapter VI is at best a declarative statement that lacks the legal authority or enforcement power whatsoever. All the rest is wishful thinking and the results on the ground will attest to it. 1) Why are they staying away? Mr. Kerry and foreign ministers from Europe and the Middle East are scheduled to meet in Rome on Thursday with opponents of President Bashar al-Assad of Syria, including Sheik Ahmad Moaz al-Khatib, who leads the opposition. But they are threatening to boycott the conference to protest what they see as fainthearted international support. To try to rescue the meeting, Robert S. Ford, the American ambassador to Syria and chief envoy to the opposition, was sent to Cairo on Sunday to implore opposition leaders to attend the session in Rome. Terrorism broadly takes two forms: against random individuals who happen to be at a market place or on a bus at the wrong time; or against specific individuals because of who they are. The latter in turn divides into two: against broad categories of people (the military, Jews, people who wear eyeglasses) and against specific public figures, either individuals or institutions. In effect, these last are assassinations (defined by Merriam-Webster as "to murder (a usually prominent person) by sudden or secret attack often for political reasons"). 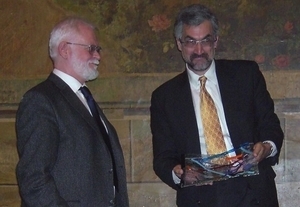 Lars Hedegaard presented Daniel Pipes with the Danish Free Press Society award in March 2007. Horrific as the first two genres are, assassinations are the most terrifying and effective. Whereas the first two can happen to anyone and have the effect of creating a universal but vague dread, the third focuses on a small pool of targets and sends a specific signal to others not to follow in their footsteps. In general, therefore, assassinations inspire the most consequential fear, intimidate the most, and have the greatest consequences. Feb. 5: Yusuf Ibrahim, 27, Egyptian born and living in Jersey City, stands accused of shooting, then cutting off the heads and hands of two Copts, Hanny F. Tawadros and Amgad A. Konds, and burying them in Buena Vista Township, New Jersey. He is charged with two counts of murder and with desecrating human remains. He is also wanted for a Sep. 20, 2012, armed robbery in Jersey City in which a victim was shot in the foot. Tunisian opposition politician Chokri Belaid has been shot dead outside his home in the capital, Tunis. Relatives say Mr Belaid was shot in the neck and head on his way to work. He was a prominent secular opponent of the moderate [sic] Islamist-led government and his murder has sparked protests around the country, with police firing tear gas to disperse angry crowds. Although the BBC report states "It is not known who is responsible for the attack on the politician," who Belaid was—a leader of the Democratic Patriots party, which has been at the forefront of challenging the Islamist-led government of Tunisia—speaks for itself. As French President Francois Hollande put it, "This murder robs Tunisia of one of its most courageous and free voices." More than ten years after the outbreak of the Second Intifada, there are still journalists, former security officials, and pundits who raise questions about the role of the Palestinian Authority in the devastating violence during which suicide bombing attacks struck Israel’s major cities, leaving more than a thousand dead and many more permanently maimed. This body of material, presented here in an unvarnished way, reveals that Yasser Arafat and important segments of the Palestinian leadership at that time were directly responsible for what happened and no amount of revisionist history can exonerate Arafat for standing behind one of the bloodiest periods in Israel’s modern history. Four foreign Christians—including one who holds American-Swedish citizenship—were arrested days ago in Libya. According to the Guardian, their crime is arousing "suspicion of being missionaries and distributing Christian literature, a charge that could carry the death penalty." Apparently the four Christians had "contracted a local printer to produce pamphlets explaining Christianity." Proselytizing to Muslims—that is, preaching to them another religion—was banned even under the late Col. Muammar Gaddafi. Libyans—strongly supported by U.S. President Obama in the name of "freedom"—got rid of Gaddafi but kept the distinctly anti-freedom law. Philadelphia, the city where I live, has quietly and unassumedly become the capital of the Western world as regards female Islamic garb as an accessory to crime. 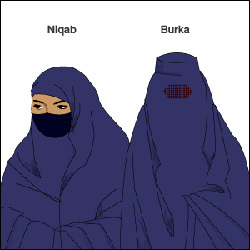 A BBC graphic shows the difference between the niqab and burqa. First, a tutorial on Islamic coverings, all of which tend to be calledveils in English but fall into three main categories. Some (theabaya, hijab, chador, jilbab, or khimar) cover parts of the body, especially the hair, neck, and shoulders, but reveal the face and identity of the woman; some cover the face (the yashmak) but show the body shape; and some hide the whole body, including the identity and gender of the wearer. The latter – our topic here – is better described as a full-body cover than a veil: it in turn has two types, those that cover the person entirely (the chadari or burqa) or those with a slit for the eyes (the haik or niqab). By my count, the Philadelphia region has witnessed 14 robberies (or attempted robberies) of financial institutions in the past six years in which the thieves relied on an Islamic full-body cover. Video: Purim Poetry Slam: "This Song Goes Out To Ahmadinejad"
Check out Ari Lesser's other raps on YouTube. Rabbi Kenneth Brander - "Introduction"
Mrs. Nechama Price - "Secret Identities"
Rabbi Ian Shaffer - "Esther Hamalkah: The key to unlocking another layer of the Purim story"
Rabbi Dr. Moshe D. Tendler - "Genetics and Epigenetics in the Purim Miracle"
Rabbi Moshe Tzvi Weinberg - "Maintaining Peace of Mind in a High Speed World"
You can also download this years Purim To-Go shiurim as a PDF. Go to the YU Puim To-Go page for shiurim from previous years, 5770 - 5772. Purim will be celebrated Saturday night and Sunday here, as elsewhere in the world, except for walled cities such as Jerusalem, where Shushan Purim will be celebrated on Sunday night and Monday. The story of Purim is one of a threat to the existence of the Jewish people, overcome against great odds because of the determined actions of Mordecai and Esther. God's name is not mentioned anywhere in the Megillat Esther. We are to understand, however, that God is present, working behind the scenes. The lessons -- that we must trust in God, even when we cannot see his hand., and that we must act decisively on behalf of our people -- are of paramount importance today. It should not escape us that the story of Esther takes place in Persia, which is the modern Iran. Nor should we forget that Mordecai refused to bow down to the wicked Haman. Today is a fast day: We fast just as Queen Esther and Mordecai fasted before she approached the king to ask him to save the Jews. Then, after Shabbat comes the celebration, and the acts of charity and giving. I do not expect to post again until Monday, at the earliest. Here, I would like to pick up on yesterday's topic, as fuzzy as the larger picture remains. Will either Bennett and/or Lapid ultimately join the coalition? My crystal ball is foggy today, so I am unsure. Bennett is putting out mixed messages right now. Purim is in the air at Latma. Technorati Tag: Purim and Haman. A number of years ago, a neighbor of mine, a business professional, shared a secret and a request. He told me that he had been found guilty of a crime – a dishonest financial reporting to the federal government – and was awaiting sentencing. He fully admitted that he had acted wrongly and offered no excuse for what he did. My neighbor is a kind, reasonable, family-oriented and charitable person. I drew on what thespian talents I had cultivated many decades earlier in high school, and feigned not being shocked. “Oh, I’m so sorry,” was all I could say. Then came the request. “Could you write the judge a character reference letter?” he asked. “Of course,” I answered, without hesitation. My neighbor’s punishment would have great impact on his future, his family and his friends. Here was a good man who did a bad thing. The judge knew about the bad thing; the least I could do was describe the good man. And so I did, the next day. I’ll never know whether my letter, which acknowledged the crime and sought only to provide an honest assessment of my neighbor as a person, had any effect. He was sentenced to a year in prison and served his sentence. What brought that memory to mind was the most recent example of “creative” reportage in a Jewish newspaper. “Orthodox Rabbi Defends Jewish Psychiatrist Convicted in… Assaults” read the headline of a report in the Forward on February 8. Shateri’s importance is indicated by the seniority of the Iranian figures who took part in his funeral ceremony in Tehran before his coffin was brought for burial to his hometown of Semnan. He was given final honors by Foreign Minister Ali Akbar Salehi, IRGC commander Gen. Mohammad Ali Jafari, and Quds Force commander Gen. Qassem Suleimani (who broke out in tears), along with representatives of Supreme Leader Ali Khamenei in these two organizations. The aim was to demonstrate the honor and importance that the Islamic Republic attributes to its fighters in Lebanon. In a post yesterday, I asked the question Will Samer Issawi be the next Palestinian Terrorist To Evade Justice By Cynically Going On A Hunger Strike? Now that Chuck Hagel has received the official blessing of Chuck Schumer -- who has revealed the secret of Hagel's behind-the-scenes metamorphosis -- it is expected that there will be no further hurdles to Senate approval of Hagel as Secretary of Defense. After all, Schumer sat down with him for 90 minutes, during which time Hagel not only allayed all of Schumer's initial misgivings -- he also "almost had tears in his eyes" when it was explained to him how hurtful the term "Jewish Lobby" actually is. Apparently Hagel doesn't read the papers much. But getting back to Schumer, there were other aspects of his defense of Hagel that were just a bit over the top. 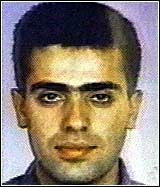 Cyprus Terror Defendant Confesses To Hezbollah Links -- Now What? Washington, Feb. 20 – A defendant on trial in Cyprus for plotting terror attacks against Israeli tourists has admitted to being a member of Hezbollah, a confession that promises to deepen pressure on the European Union to heed U.S. calls and formally designate the Iran-backed group a terrorist organization. A party, the very first to do so, signed on to the coalition PM Netanyahu has been working to form: Tzipi Livni's party, Hatnua. Not only has this left-wing party -- with six mandates -- joined, Livni herself will be Justice Minister AND will be responsible for negotiations with the Palestinian Arabs, reporting to the prime minister himself. Netanyahu will lead a ministerial committee on the peace process that will include Livni and the defense and foreign ministers. Amir Peretz, of Hatnua, will reportedly be given the Environmental Protection portfolio. 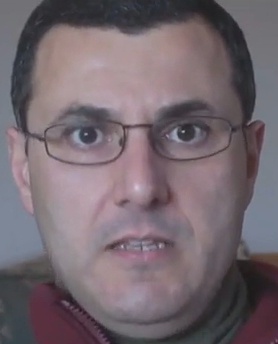 Oi vey! To say that this is bad doesn't begin to do justice to the situation. It's infuriating, disappointing, unsettling, and bewildering. It is clear is that neither Hamas nor Fatah is interested in achieving unity -- each for its own reasons. Then there are radicals in the Arab and Islamic countries -- such as the Muslim Brotherhood and the Salafis -- who will never accept Israel's right to exist. But neither side is about to reveal that the continued meetings and calls for a unity government are a sham. The Middle East Media Sampler 2/20/13: New Mideast Opportunity To Pressure Israel -- Or Hamas? With Al-Qaeda linked jihadis in the opposition, and Iran and Hezbollah supporting the government, Israel has much to fear and little to hope as the Syria war grinds on. In some ways, Syria is turning into Israel’s ultimate nightmare: WMDs, terrorists and arch-enemy Iran are all mixed up in it together, and there is not much Israel can do to shape events. President Obama now holds more cards than any American President in a long time: between the nightmare in Syria and the threat in Iran, Israel has never needed support from allies more than it does now. Some flexibility from Israel vis-a-vis the Palestinians in exchange for effective American support in these scary times is the kind of bargain Israeli and U.S. diplomats should be looking at now. Much depends on whether the Americans are willing to put enough real support on the table and whether the Israelis on their side can find a way to make concessions on the West Bank that give the U.S. President an incentive to help. Will Samer Issawi be the next Palestinian Terrorist To Evade Justice By Cynically Going On A Hunger Strike? In the midst of the huge coverage being given him as wrongly imprisoned by Israel, it is worth pointing out that Samer Issawi is in fact a Palestinian terrorist whose release as part of an exchange for Gilad Shalit was conditional on his staying in Jerusalem -- a condition he violated. But the details of his record as a terrorist and the reason he is back in prison is not being widely reported. Shoshana Bryen, Senior Director of The Jewish Policy Center, writes about Obama's visit to Israel and the implications of Obama at Ramallah. "...Presumably, the US delegation and Obama will emphasize their optimism about negotiations with Teheran and express wishful thinking that the June election will result in a more moderate government...In other words, they will preach hope and patience. "In addition, they will stress that all options are being kept open and that the United States will never accept Iran having nuclear weapons...Personally, I don't believe that Obama will ever attack Iranian nuclear facilities or support such an Israeli operation. Controversy had grown over the past week at the Midwood college, where nearly a fifth of the undergraduate population is Jewish, over the event organized by a student group, Students for Justice in Palestine. The college’s political science department agreed to co-sponsor the speakers along with more than two dozen other groups. Jewish leaders on and off campus had criticized the college and its president, Karen L. Gould, for sponsoring the talk, which they said helped legitimize the B.D.S. movement, which refers to Boycott, Divestment and Sanctions. Its goal is to pressure Israel to restore disputed territories and grant equal rights to Palestinians. Throughout the week, the right to academic freedom served as the backbone to arguments in favor of the college’s sponsorship of the event. 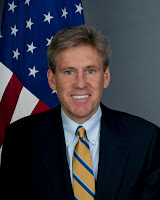 Why Are Terrorists Who Murdered US Ambassador Chris Stevens Walking Free In Benghazi In Public? Barry Rubin writes about the latest development in Benghazi - Breaking News: Five Months After Benghazi Murders: Killers Frolic Untouched There. It has been five months since the murder of US Ambassador Chris Stevens and 3 members of his staff, with Obama and Hillary Clinton apparently doing as little during that time as they did during the events leading up to -- and during -- the day of tragedy of that terrorist attack. Rubin notes that at the very least, even though they were still able to appear publicly -- the group identified by witnesses as being behind the attack was forced to cease their activities. But now that has changed as Libya militia linked to U.S. attack returns to Benghazi. Can Israel Rebuild Relations With Turkey By Delivering AWACS To Them? The Government of Israel, we learned yesterday from a Turkish source, has delivered Airborne Warning and Control System (AWACS) equipment by ELTA, a subsidiary of Israel Aerospace Industries that gives military aircraft protection from electronic attacks. Not only will the AWACS planes, in the wording of the Today's Zaman article, "greatly increase [the Turkish air force's] dominance over Turkey's own airspace" but they will also be useful to it in the Syrian civil war and vis-à-vis "tensions with Israel and Greek Cyprus over the issue of gas drilling." A typical offering included a close-up of the deformed face of a Jewish man above the legend “The Scum of Humanity: This Jew says that he is a member of God’s chosen people.” Another displayed a cartoon of a vampire bat with a grotesquely exaggerated nose and a Jewish star on its chest. In yet another, a Jewish butcher was depicted snidely dropping a rat into his meat grinder and, elsewhere in the issue, the punctured necks of handsome German youths were shown bleeding into a bowl held by a Jew more gargoyle than human. At its peak in 1938, print runs of Hitler henchman Julius Streicher’s vile tabloid Der Sturmer ran as high as 2,000,000. Barak argues that if Iron Dome makes Israelis feel more secure, less threatened, they'll be more willing to make peace with the Palestinians. You wont find many Palestinians who agree. Husam Zomlot: Before the Iron Dome, they felt no pressure to make any concessions. After the Iron Dome, they will feel the pressure to make concessions? Of course not. Husam Zomlot is a PLO diplomat and a professor at Bir Zeit University. If Its Ally Syria Falls, Will Iran Just Take Over Lebanon? According to the article, Iran is supporting the Assad regime's army while at the same time preparing to back an Alawite entity composed of Syrian provinces that are adjacent to the Lebanese border -- including the port in Latakia that is instrumental in bringing supplies to Hezbollah in Lebanon. Hundreds of Egyptian women recently took to the streets of Tahrir Square to protest the nonstop harassment they must endure whenever they emerge from their homes and onto the streets. They held slogans like "Silence is unacceptable, my anger will be heard," and "A safe square for all; Down with sexual harassment." "Marchers also shouted chants against President Mohamed Morsi and the Muslim Brotherhood group from which he hails," wroteAl Ahram Online. "In fact, he's doing so well that we are being discharged already, ahead of schedule." "Thank God" says it all. The capacity of this young body to rally and heal is amazing. 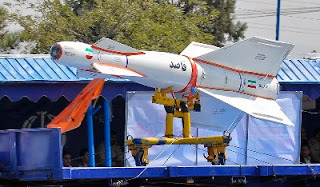 While the international community dithers and dallies -- still seeking "negotiations" with Iran -- that Islamist republic is rushing towards nuclear capability. According to the Sunday Times (London), Mohsen Fakhrizadeh-Mahabadi, believed to be the head of Iran's secret nuclear weapons program, was present in North Korea last week when critical weapons tests were run. This is particularly noteworthy because Fakhrizadeh-Mahabadi is said to be reluctant to leave Iranian soil out of fear that the Mossad might get him. Two years ago last week, growing protests against Hosni Mubarak eventually (with a nudge from the military) forced him from power. Here's a sampling of news and comment from the New York Times of those momentous events, plus contrasts to current commentary and news. Washington, Feb. 15 – The Gulf Cooperation Council has announced a “total rejection” of what GCC head Abdellatif Zayani is describing as another Iranian attempt at “interference in the internal affairs of Arab states.” The criticism comes in response to a proposal made by Iran’s Deputy Minister for Asian Affairs Abbas Araghchi, conveyed through Iranian media, proposing that the Syrian crisis and the domestic situation in Bahrain be placed on the agenda of upcoming talks in Kazakhstan regarding Iran’s nuclear program. If they could have pressed a button and Israel would have disappeared, almost none of them would have hesitated. But if you have to spend huge amounts of money, fight full-scale wars, and face the possibility (and increasingly they knew the likelihood) of being defeated that was different. While Abbas has lied to Obama about ending incitement of hatred against Israel, Israelis work to build bridges between Palestinian Arabs and Israelis. Washington, Feb. 16 – Russian expressions of continued support for the regime of Bashar al-Assad have analysts and diplomats worried that Moscow’s policies may undermine a new Western push, outlined this week by U.S. Secretary of State John Kerry, to end Syria’s two-year conflict. 1) Was King Herod a Palestinian? Earlier this week the New York Times reported about Anger That a Herod Show Uses West Bank Objects. This is an odd angle to report as the article tells us. The Israel Museum on Tuesday opened its most ambitious archaeological exhibition and the world’s first devoted to Herod, the lionized and demonized Rome-appointed king of Judea, who reigned from 37 to 4 B.C.E. and is among the most seminal and contentious figures in Jewish history. But the exhibition, which the museum director described as a “massive enterprise” that involved sifting through 30 tons of material from Herodium and reconstructing 250 artifacts, has also brought its own bit of controversy. Instead of discussing the historical significance of the exhibit, the report focuses on the controversy. The Palestinian Authority says the exhibition is a violation of international law because much of its material was taken from near Bethlehem and Jericho, both in the Israeli-occupied West Bank. This weeks Latma reveals why Obama is visiting Israel. Also: the EU's difficulty in treating Hezbollah as a terrorist group. With a flurry of good will and generosity, the Helen Diller Family Fund gave $5 million for Jewish studies in 1999 to the University of California at Berkeley to bring an Israeli professor to the university each year. The intent was partially to balance the anti-Israel invective that permeates that university. As Diller herself put it, "With the protesting and this and that, we need to get a real strong Jewish studies program in there. Hopefully, it will be enlightening to have a visiting professor." The appointing committee promised that visiting scholars' political beliefs would not be considered, while Diller indicated her confidence in the committee. But the Helen Diller Family Programs in Jewish Studies from the start went awry. The university used the funds to hire Oren Yiftachel, a viciously anti-Zionist professor who holds that "Israel has created a colonial setting, held through violent control and a softening illusion of a nation-state and democratic citizenship." This left the donor displeased and frustrated; in the words of Moment magazine's Liel Liebowitz, "having given the endowment, there was nothing she could do but wince." Update on my update: Little Zakkai has had a tough time since last I wrote -- as, unquestionably, have his parents. On Monday he successfully came through surgery to remove growing tumor nodules on his spine. Following the surgery, he was given what was supposed to be a routine MRI to be sure all was well. But it was discovered that in spite of the diligence of the two surgeons who worked on him with great care, a nodule on the spine was missed. The doctors recommended re-opening the incision, which had not yet healed. And so, yesterday, this 2-1/2 year old went under the knife for the second time in 48 hours. But the upbeat news now is that he's doing beautifully and will probably be moved out of ICU today and discharged before long. President Obama has delivered his State of the Union address, and Barry Rubin, a very savvy commentator, has now taken it apart in "Careful Phrasing Conceals Disasters." Rubin provides multiple examples of ways in which Obama distorts the situation (offers untruthful pictures), or implies something that isn't true while taking care to not quite lie. A few examples follow (emphasis added). 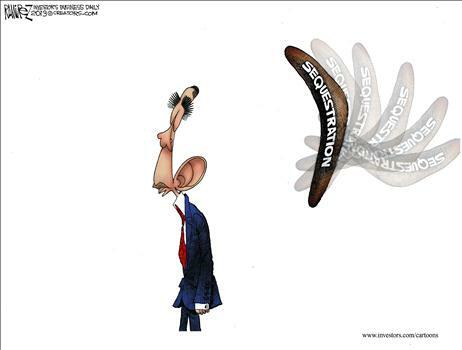 Obama's Visit To Israel: More Carrot Than Stick?